Do you feel the need for a nice spa treatment? Have you been feeling the summer heat? Dry, itchy skin? Do you not want to spend tons of money that would be better spent on beachware, a weekend getaway, or a few more mojitos before August? Me too! 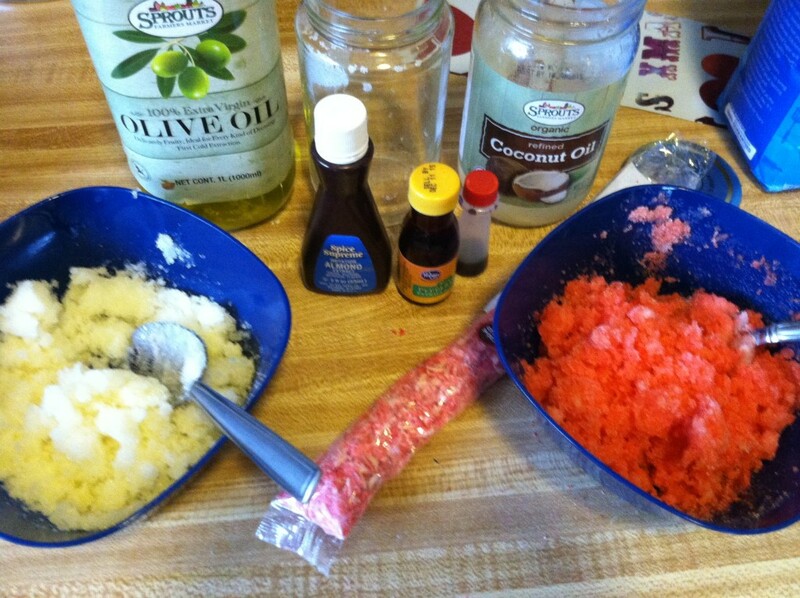 The beauty is, you can easily make your own spa-worthy scrub at home, and have a spa day for pennies. You probably already have sugar in the cupboard, all you have to do is get some yummy smelling oils. There are many at-home spa treatments you can do on your own to save big time. Make it a girls night and invite friends over to do each other’s hair & makeup, mani/pedis, or just soak it in and enjoy a me-time evening. 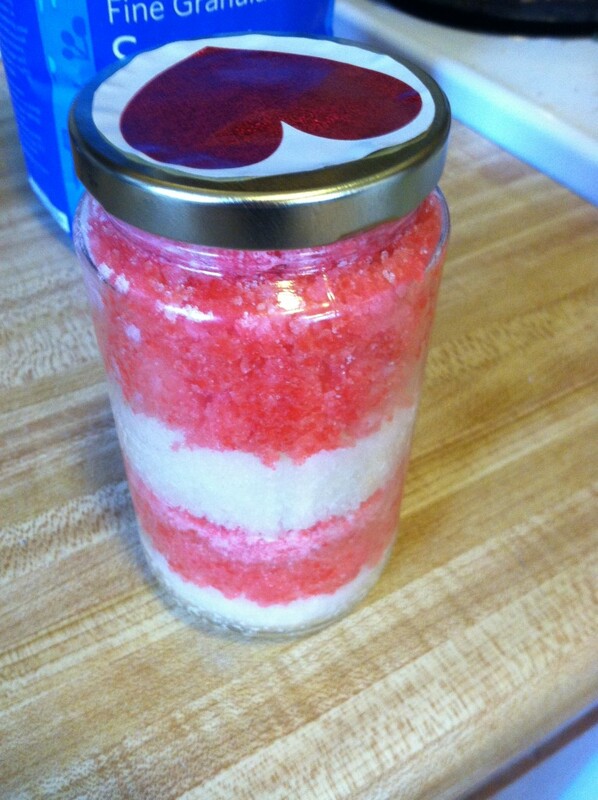 This was made as a gift at Christmas, but peppermint is a refreshing smell and feel that would be great anytime. You can also use any oil you like here, such as lemon, lavender, or citrus. I’ve even made coffee body scrub! Smells fabulous, and perks you right up. 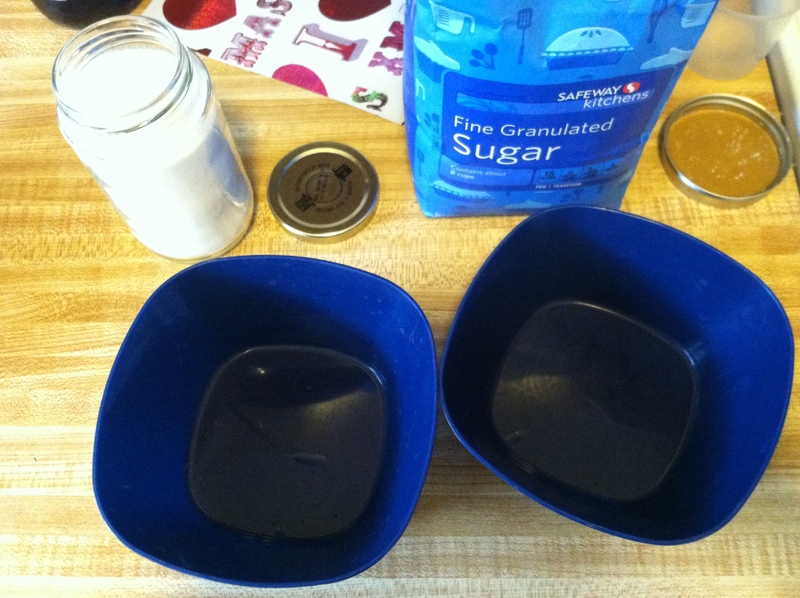 Step 1: Separate your sugar into two bowls if you are layering colors. You can also just make it white with no coloring too. 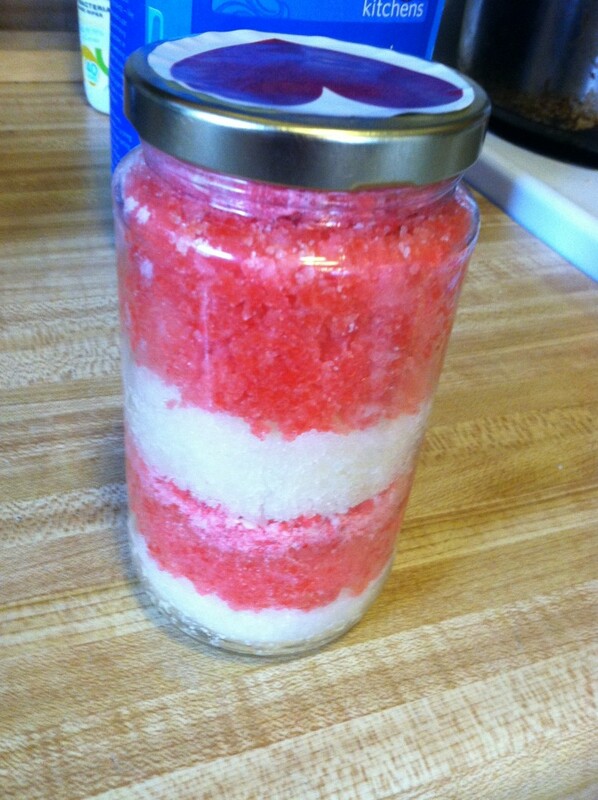 Step 2: Mix a few drops of food coloring into the sugar, until it reaches your desired intensity. Step 3: Mix in 2 drops of essential oils. Add a drop at a time until it is as strong as you want it to be. 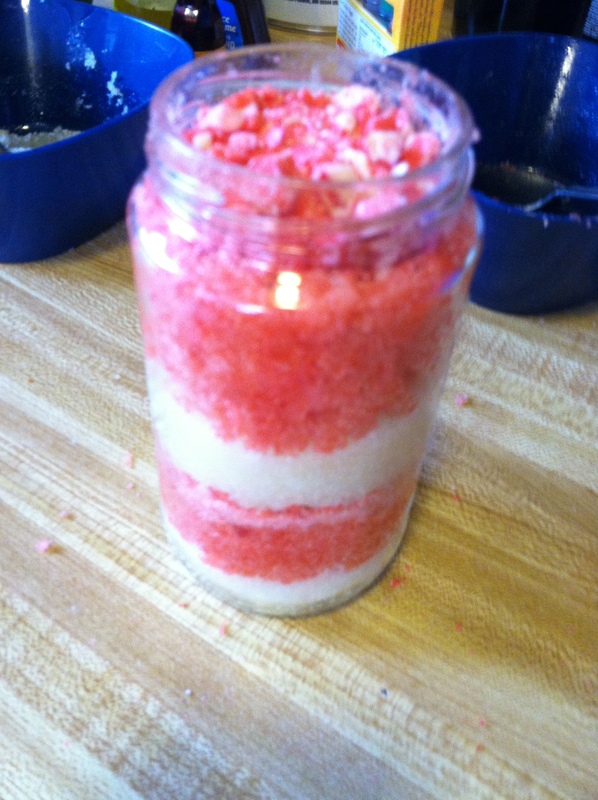 Step 4: If layering, add a thin layer of one color. Tamp down, then add another layer of the other color. 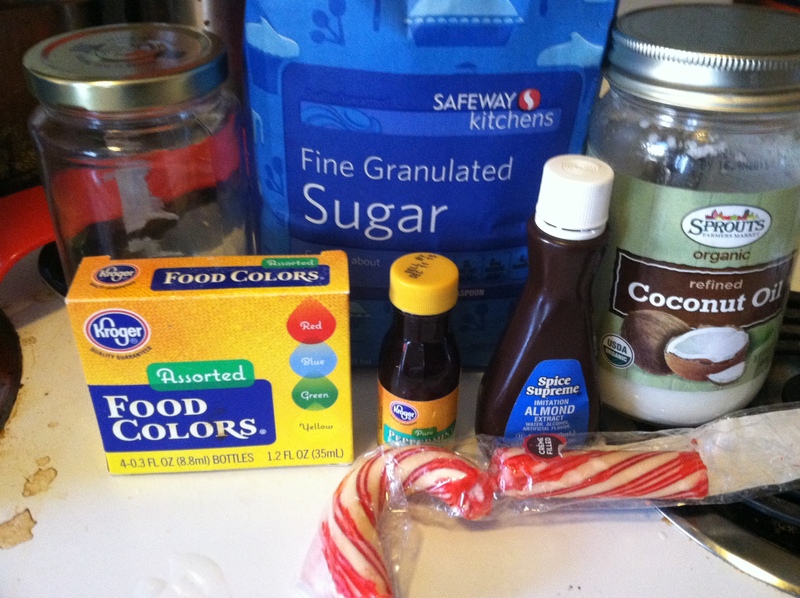 Continue layering until you used up all your sugar.